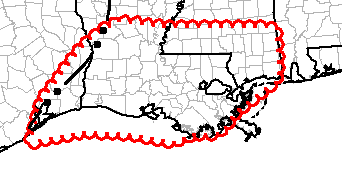 Looks like another tornado watch will be issued within the hour to extend the watch in southeast Louisiana and extend it into southern Mississippi roughly in the area outlined below. 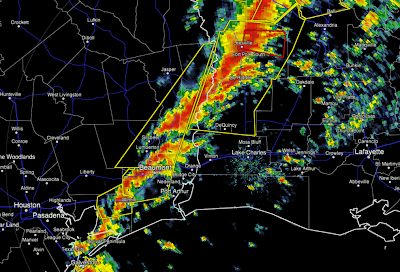 The violent squall line is crossing into western Louisiana at the present time with one tornado warning near Ft. Polk in effect (red polygon). Reminder: I am not live-blogging the storms. I'm doing periodic updates today. I urge you to monitor local weather sources as the tornado threat moves east. I am doing some tweeting @usweatherexpert.